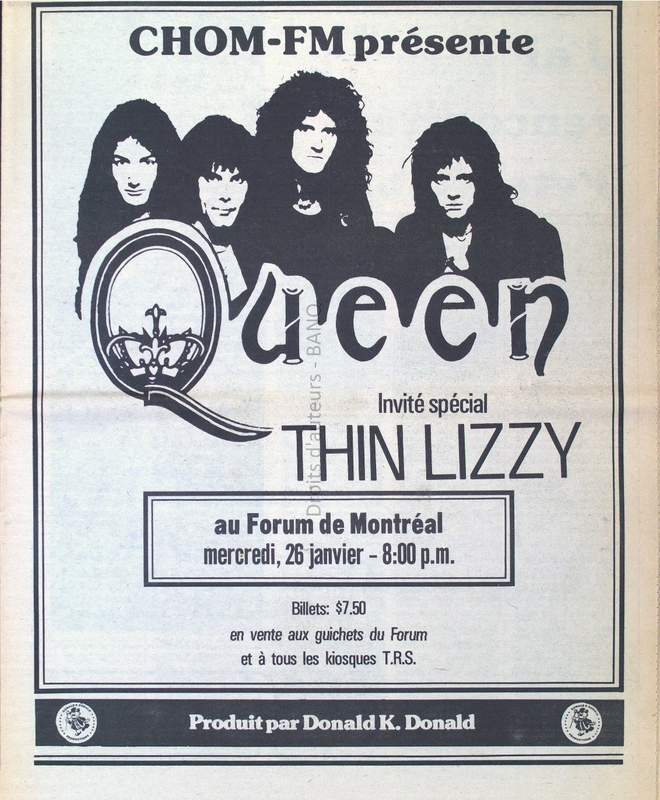 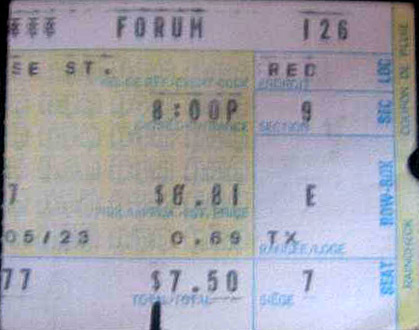 A fan who attended all of Queen's shows at the Montreal Forum recalled this one to be the best - even though the venue was only half full. 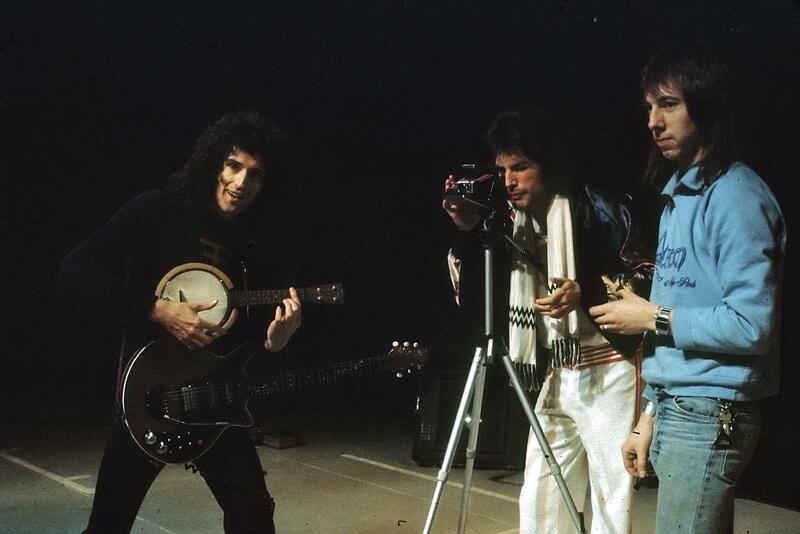 You Take My Breath Away was especially well received by the crowd. 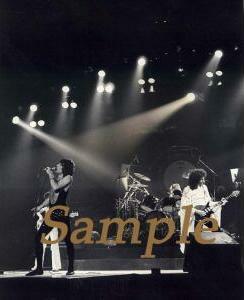 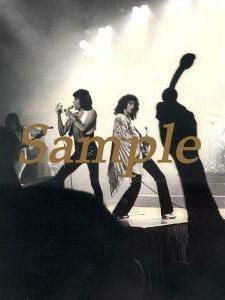 In the first of the two concert pictures, someone is holding a microphone in the first pic, indicating that an audio recording of this show may exist. 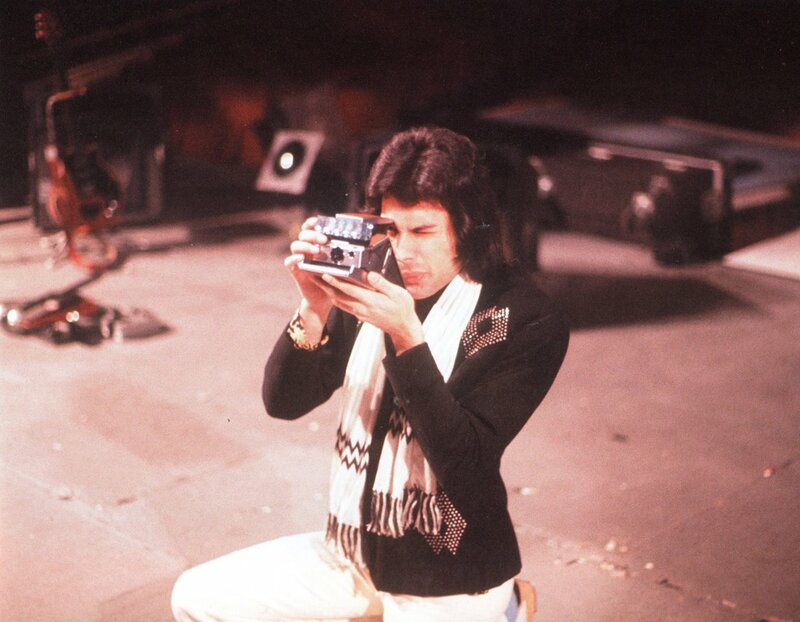 The pre-show picture of Freddie Mercury was actually snapped by Brian May. 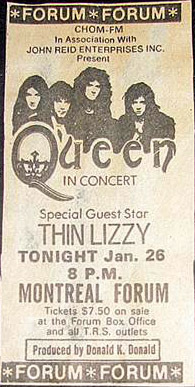 Here is a review from the next day's Montreal Gazette. 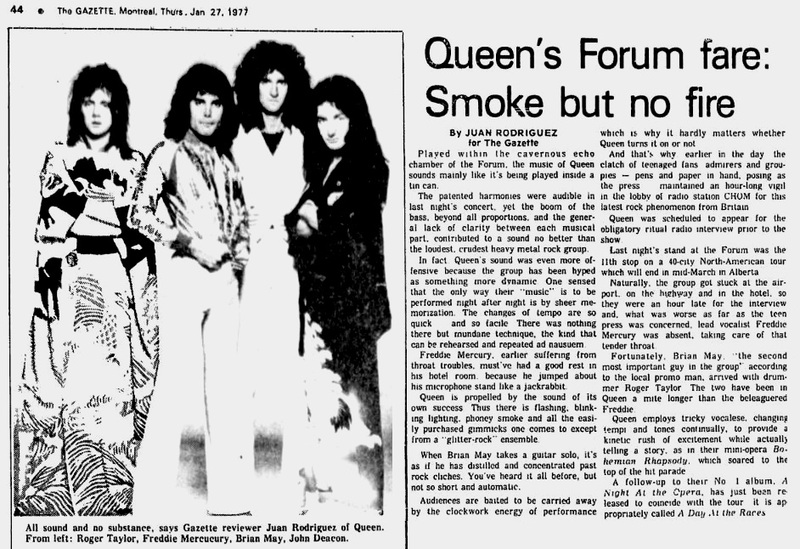 The review was so bad that they never bothered to write about another Queen show until 1981.